Today we're going to talk about ylang ylang essential oil! Not only does ylang ylang smell wonderfully exotic, it also has many therapeutic and aromatherapy qualities. It is said to be an antidepressant, aphrodisiac, antiseptic - as well as being a great addition to perfume blends. 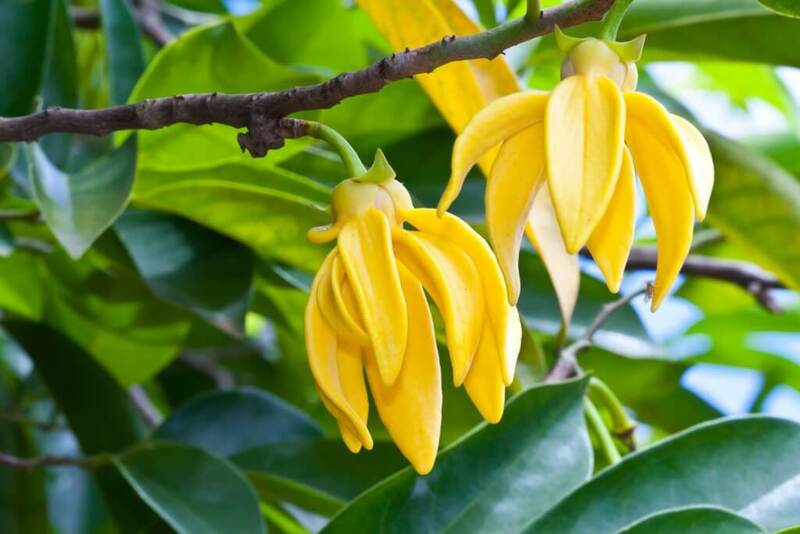 Ylang ylang has many distilling stages, each stage producing various qualities of the essential oil. "Extra" and "Superior" are often used for aromatherapy while ylang ylang complete - the blending of all stages, extra, superior, I, II & III - is used for various perfume purposes to attain specific scent notes. At Halo Soap we love using ylang ylang to create various perfume blends. We currently carry a roll-on and a solid perfume using ylang ylang in the blend. We also use ylang ylang in an up-coming project to create a foaming facial wash so stay tuned for that! There are a lot of ways you can incorporate ylang ylang essential oil into your every day routines! Now let's side track for a bit to talk about therapeutic grade essential oils - they do not exist. While I am not a certified aromatherapist, I have done extensive research on the issues and have conversed with those who are certified aromatherapists. The term "therapeutic grade" was coined by certain essential oils companies as a marketing scheme. There is no governing body on the term "therapeutic grade". You should make sure you are purchasing your essential oils from a reputable supplier who uses extraction methods that align with your intended use for the product as well as a supplier who uses quality raw material. Additionally, essential oils should never be used for consumption with out consulting a qualified medical professional. Safety first!